So what do you get when you mix a paint pallette, an inﬂuencer and an award winning colourist? You get the creative rainbow that is Harriet Muldoon. Known in the salon as the queen of blonde, Harriet is a force to be reckoned with when it comes to bleaching. 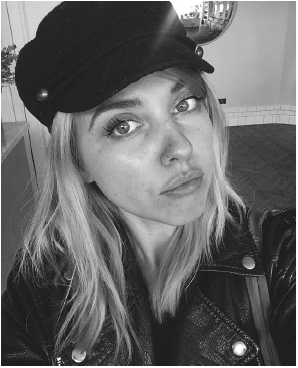 Incredible at producing tone perfect blondes without the dreaded band of gold, clients such as Pixie Lott and Estee Lalonde are both huge fans. But blonde is also her canvas, Harriet is a creative genius when it comes to sunny summer pastels and vivid brights, she invented the Sun Bun Technique and is an expert with any colour palette. Book with Harriet if you‘re looking some serious blonde envy from all your friends or if you fancy some millennial summer brights or skin-enhancing pastels.